Another tax season has concluded! Congratulations on all your hard work. I know tax season never really ends, but hopefully you’ve been able to take a breather. Now’s the time to reset and reflect on the past four months, brush up on the topics you wish you knew a little better and learn what you need to know in order to complete those extensions. Some Chapters are hosting early education events that may interest you, and all Chapters are actively in the education planning process, so keep a watchful eye out for sessions happening throughout the year. Now’s also a great time to get involved with your Chapter! Help influence the topics for your Chapter’s year-end meetings, write a newsletter article about your experiences this tax season or simply help organize a networking event in your area. Reach out to the Chapter President in your state and see how you can contribute. Welcome back from tax season, Arizona! We are pleased to announce our upcoming seminars on June 9 in Tempe. Well-known national speaker, Kathryn Keane, will be teaching 8 hours of CPE. Also, we will have our first 8-hour Spanish seminar taught by Liliana Davalos and Regina Duran. The majority of your clients have filed and now we are just left with the stack of extensions and our summer plans. How about attending a free CE Course offered by CollegeInvest, Colorado's 529 Plan knowledge center? Each month from May to October they are offering a free 2-hour class. We have hosted these classes in the past and highly recommend them. Also, on May 9, "Tax Talk Tuesday" is going to be the start of a roundtable forum for local tax practitioners to meet over the lunch hour and share knowledge, experiences and friendship. Join us at the Koebel Library, 5955 S. Holly Street in Centennial (southwest corner of Orchard and Holly). Bring your own lunch. Starts at 11 a.m.
Mark your calendars and register for our Spring Conference. It’s Friday, June 9, 2017, and will be held at the Radisson Hotel Cromwell, 100 Berlin Road in Cromwell, CT. Registration is 7:30 a.m. and the conference runs until 5:00 p.m.
Our very special speaker is Marilyn Meredith, EA, a nationally-known speaker with over 50 years’ tax experience. Meredith is the successful owner of Meredith Tax Service and Meredith Financial Research Services with three locations in Michigan. This is a can’t-miss event. If you haven’t attended a CT NATP conference before, complete this agenda and registration form for the Spring Conference—you do not want to miss this one. The registration deadline is June 8, 2017. Be our guest. Spring is the time of plans and projects! Check out our May newsletter for the latest information on our May 18-19 Daytona Beach Spring Conference. You can find the agenda and registration form in the newsletter. Our early bird deadline is May 10, so be sure to register before then to get your discount. We're also pleased to announce the first winner of our Scholarship: Rochelle Gross who will receive a free registration to the Spring Conference. Last chance! Join us for our AirBNB & 1099-Misc Workshop with panel discussion and breakfast buffet on May 18, 2017 from 8:00 a.m.-10:00 a.m. 2 CPE is offered. It will be a great chance to learn the ins and outs of the increasingly popular AirBNB business in Hawaii and talk story with other tax preparers about questions, issues and concerns. Includes breakfast too! Date: May 18, 2017 - 8:00 a.m.-10 a.m.
Breakfast buffet starts at 7:30 a.m. Call or email right away to reserve your spot. Mail in the registration form no later than May 4. Congrats, Kansas Tax Pros! Another tax season has come and gone. As you get your second wind, it’s time to turn your attention to professional development for yourself, your staff or your clients. Check out the May seminars offered by the Kansas Small Business Development Center at Johnson County Community College. They offer a wide range of small business topics, including QuickBooks and Sales & Use Tax. Some of the courses are offered online if attendance in person is not convenient. Your Kansas Chapter board members will be meeting next month to finalize event information for our regularly scheduled Overland Park IRS Symposium, and the Annual (Wichita) and Fall (Overland Park) seminars with state updates. Stay tuned. In this Kansas City Star online article, Governor Brownback’s tax cut plan from 2012 and President Trump’s current flat tax proposal are compared. The Wichita Eagle Beacon reports the previously vetoed tax package in February may be back on the table with changes. Save these dates! The Kentucky Chapter is sponsoring two in-depth seminars in June. On June 23, 2017 in Louisville, Martha Nest, EA, will facilitate "Small Business Through the Eyes of a Sole Proprietor." Class will be limited to 35 individuals and offer up to 7 CPE. On June 26, 2017 in Paducah, Penny Wade Smith, EA, will facilitate "The Life of a Farmer - How Taxes Affect What They Do." This class will also be limited to 35 individuals and offer up to 7 CPE. More information and registration forms are available on our website. Check out your Spring newsletter! It contains timely information about the NH Chapter Spring Seminar on May 25, 2017. Register early! Plus, a soothing, compassionate note from our Chapter President after another exciting tax season! Tax season is slowing down and education season is upon us. The NJ Chapter will have a seminar on May 16 at The Hotel ML on Route 73 in Mount Laurel. The day will be spent on two topics that are continually asked for by NJ preparers. The morning will feature our friend Patrick McCormick, Esq. He will cover international taxation, including residency issues, applicable tax treaties, an overview of FBAR and penalty assessment and finally planning options for those with international ties. The afternoon will be a line-by-line explanation of the PA 40 and related forms, presented by Kathryn Bowman from our neighboring state of Pennsylvania. We appreciate her time and the knowledge she will share. It will be a very informative day and will provide up to 4 CPE. June 8 will see us getting together in Iselin at APA Hotel Woodbridge. This will be a full day of learning the ins and outs of partnership returns, presented by our own Marilyn Ayers and Sherril Diamond. What better way to review all the issues that we came across during this tax season when our clients brought in their new partnership venture. Both Marilyn and Sherril have been members, directors and president of our Chapter. We are fortunate to have two very special leaders from the NJ tax community to lead the day. We hope to see many of you at one or both of these educational opportunities. For additional information, please visit our website and our Facebook page. In case you missed it, check out the April edition of our newsletter. Hope you are enjoying a few days of rest after this hectic tax season! Hello, Texans! We hope that you all survived the tax season and are starting to breathe normally again. For those of you who were too busy to get to your calendars, now is the perfect time to mark your calendar for our Fall education event that will be held October 25-27 in Houston. If you missed our last newsletter, check it out. Last, I do not want you to be frantically searching for the First Friday minutes from the April meeting, because there was no meeting. The IRS thought that we had enough on our plates for April 7. The next Chapter News will contain the minutes for the May 5 meeting. Join WI NATP for the 2017 Spring Seminar, Thursday June 8, 2017 from 8:00 a.m. - 4:30 p.m., to be held at Best Western Premier Bridgewood Resort in Neenah, WI 54956. Phone: 800.541.5206 (For a discounted rate, use code: WI-Chapter NATP). 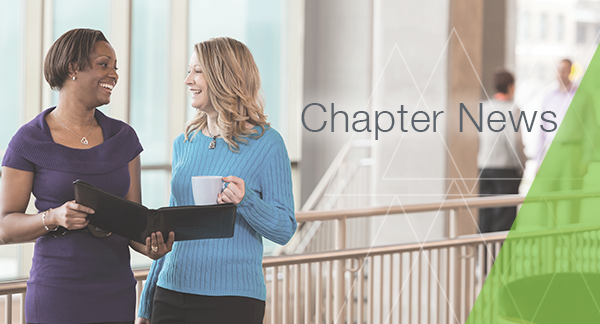 Visit our Chapter education page for more information and to register.